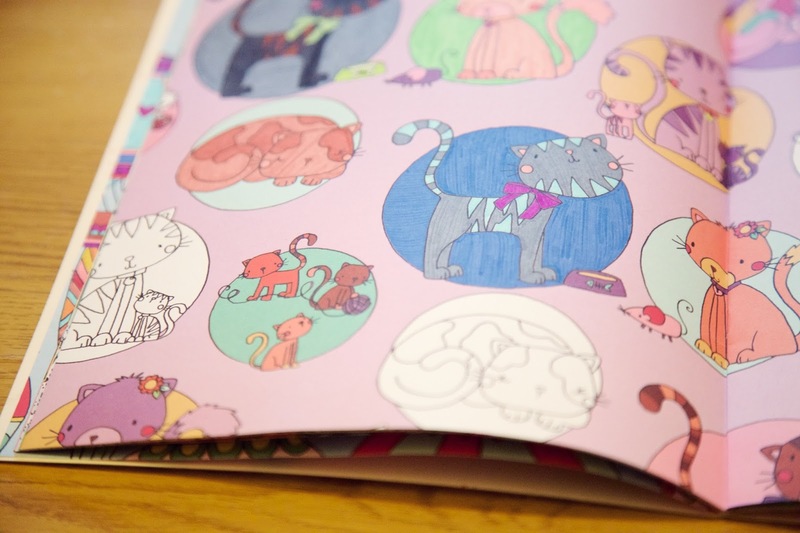 Release Your Inner Child With A Grown-Up Colouring Book! Today I want to discuss with you, the joys of colouring. You are probably thinking I've gone a bit mad, but who didn't love colouring as a kid? Does that desire to colour just disappear as we get older and move on to bigger and better things? Maybe. But is colouring just as fun to do now as it was back then? Yes! I'm not sure what motivated me to browse the 'grown-up' colouring books on Amazon, but I am glad I did. It's probably stemmed from the same motivation that made me want to make loom bracelets like the millions of kids did last summer, a dormant creativity and a hankering for the simplicity and therapeutic nature of it all. We spend so much time looking at a screen these days, even two or three at a time sometimes (does anyone just watch TV anymore without being on their iPad, phone or laptop at the same time?!) so sometimes it's nice, even necessary, to give ourselves a break, relax and do something else for awhile. 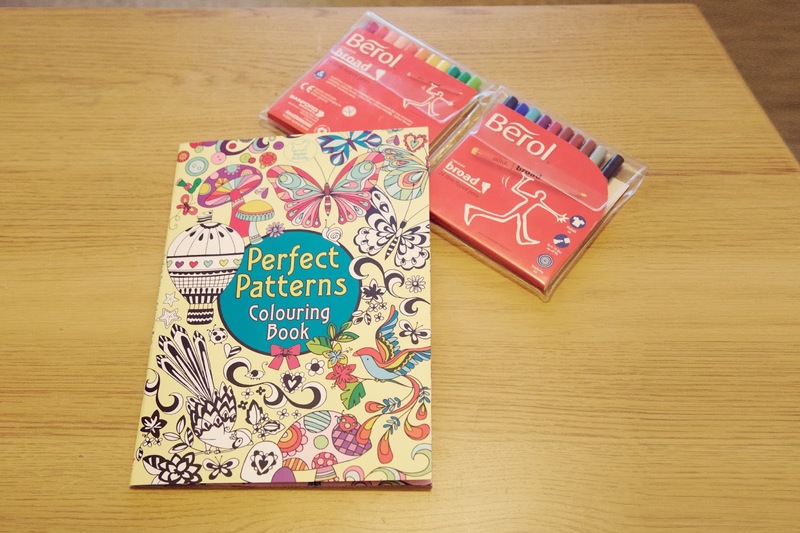 There are tons of colouring books available to buy, from intricate designs to pretty patterns, and judging by some of the reviews they are pretty popular too. 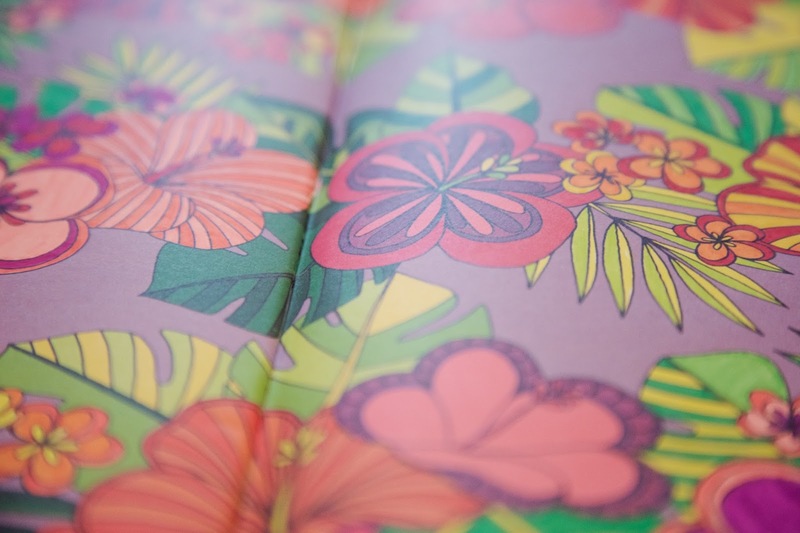 The book I chose is called Perfect Patterns and cost only £4.00. As far as colouring books go, this one is pretty basic compared to some which have tiny complex details for you to colour. I liked the look of the big shapes and cute patterns and illustrations in the form of flowers, cats, vegetable patches, shoes, handbags and more. It's illustrated so that parts of the image are already coloured in and you just have to do the rest as you like. I prefer to use my Berol Broad Felt Tips in 24 colours (well 21, some are missing) which you probably remember from school, but you can also use pencils. 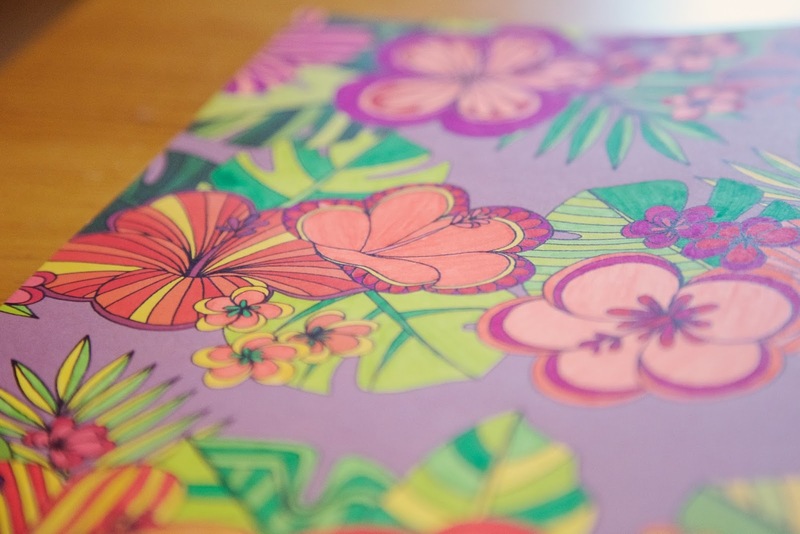 It's so easy to become absorbed in colouring and forget about everything else. It might sound odd but just trying to stay in the lines and picking which colour to use next is engaging, I find it difficult to concentrate on anything else but the shape I'm colouring in. I like to colour while I'm watching TV, or if Harry is playing on the Xbox or even just before bed. It's great to get my mind off of things and it cheers me up too. I think it is definitely worth giving it a go, so what are you waiting for?